Years ago I wanted a pair of UGG® boots so badly. 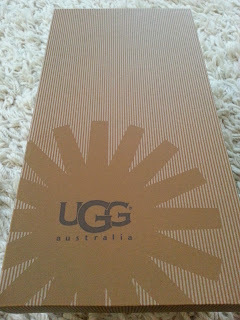 I actually bought some but found out later they weren't the official UGG® boots just some sheepskin boots that came from Australia! Since then every woman seems to have a pair and there are cheap copies everywhere in the winter. 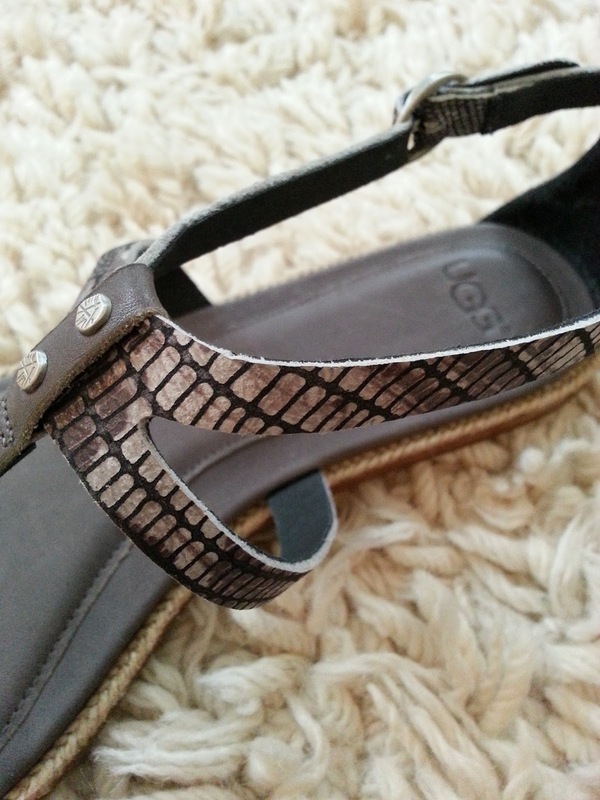 So when UGG® asked if I'd like to review something from their summer collection I was dreading having a look online. Fear not, it's not at all what you are expecting. Summer sandals galore that look stunning and don't even get me started on their gorgeous bags. UGG® have quality items, I knew they would because of the brand they are but also the prices of their items so when my gift turned up yesterday I was super excited. I love the recycled brown box the sandals arrived in. I was not disappointed when I got the sandals out. 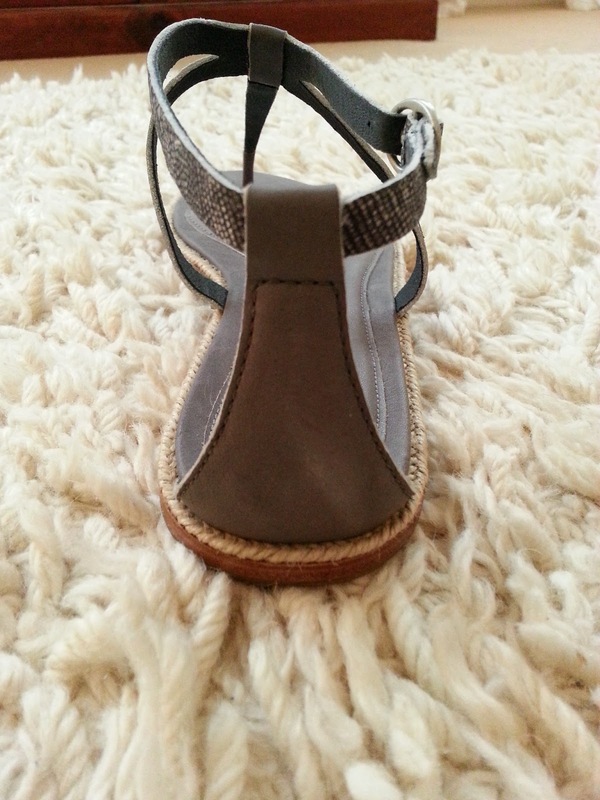 The grey was dreamy high quality grey, the snakeskin detail is subtle and oozes class, the sandals themselves are made from the softest leather and are, without any shadow of a doubt, the comfiest sandals I've worn. 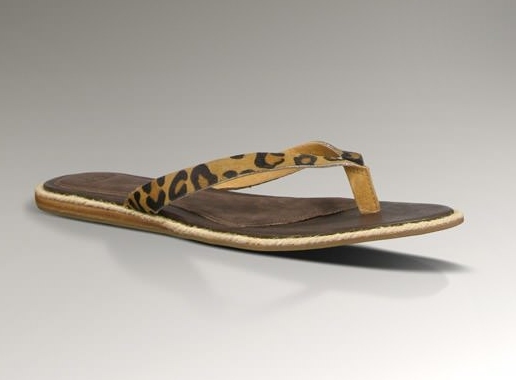 The 'thong' is made of the same super soft leather and so it just feels comfortable instead of a hard plastic 'thong' which can be uncomfortable in some cheaper flip flops/sandals. I love the gladiator style and the support at the back helps. And I could have chosen any of the ones below - check out the Lucianna! 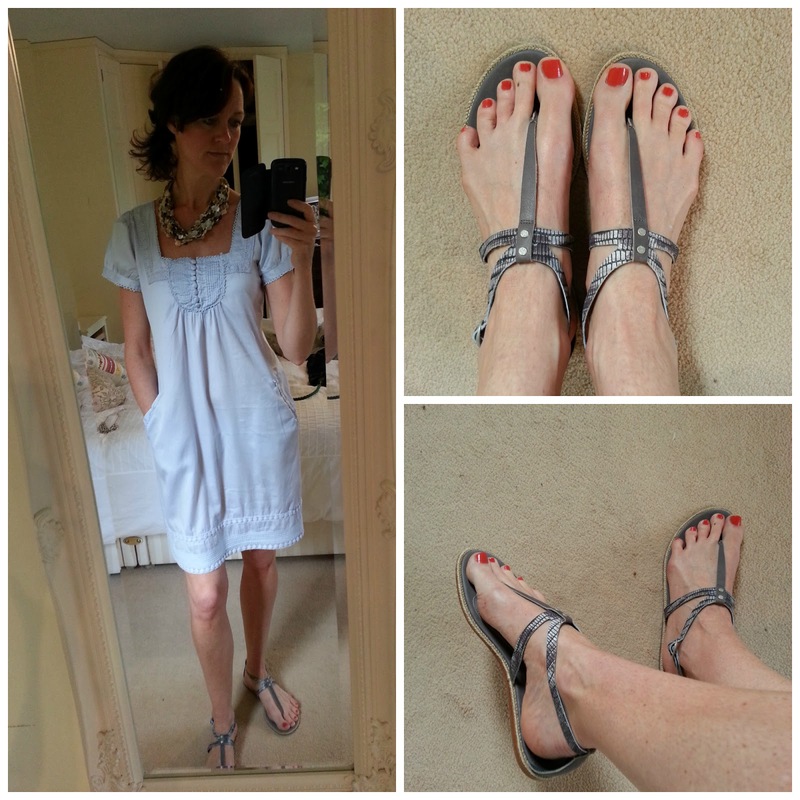 How did I wear my new sandals today? With a simple dress - let the shoes do the talking! 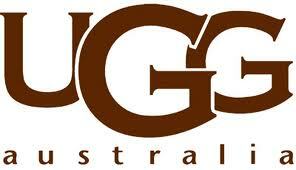 What's caught your eye on the UGG® website today? I had no idea either and at first I thought they'd be all fluffy and sheepskin - I was wrong! Love them - I did an Ugg review of my wedge heeled boots and practically lived in them all winter! Those sandals are absolutley beautiful. I'm going to keep my eye out for the winter stock - seems it's not all about sheepskin boots! I'm like Avril & didn't realise they did sandals but those are simply devine & look lovely with your dress. I'm not sure I can look again - I reckon without blinking I could spend £1000! I think you chose the best pair too. I have a pair of the suede flip flops from a couple of years back and they are still going strong and yes - they are so comfy. We actually have an Ugg shop now in Leeds - I was actually noseying in the window and saw some snakeprint ones which I loved but I didn't have time to go in (parking running out). Will have a nosey in next time - at your pair. There is an UGG shop in Bicester which isn't TOO far away from me - I wonder if I'll be brave?!! They'll go with so much! I also really like the Assia! I've worn my Ugg boots since I was a southern California beach girl in the 80s and now live in their slippers for winter. It's nice to see them doing such pretty sandals. That's it, you just KNOW it's good stuff - and it is! These sandals will go with practically anything. You chose well, Fiona! 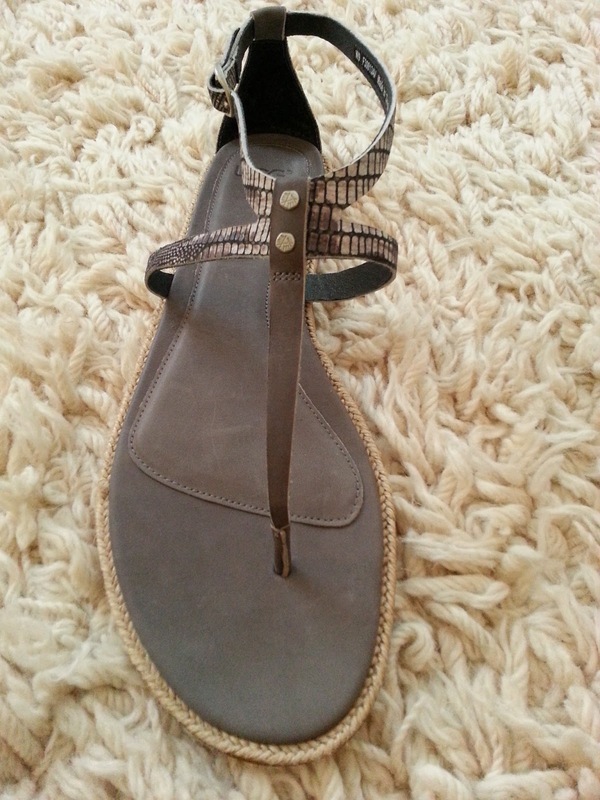 I can't wait to wear again and again and again - I will become sandal bore! They are gorgeous, so want a pair of ugg slippers they look so darn cosy! I agree with Sue, you chose the best pair. Thinking I need a pair for the summer too. I promise you, they are heavenly! I've not taken them off yet (10hrs on! )this is testament as to how comfortable they really are! report back when you can! Favourite word used - hoorah! 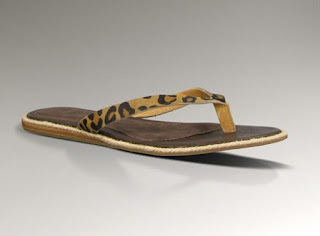 oh my - will you show and tell the leopard ones www.avenue57.com when they arrive? I have the grey ones on again today!!! Just gorgeous - I love Uggs - from their classic fur boots to their sleeker looking boots. Now I'll have to investigate their sandals!! Oh I love your choice! Saw some in Cruise, Belfast. They feel beautiful!